Each paddle shift operation makes a single gear change. 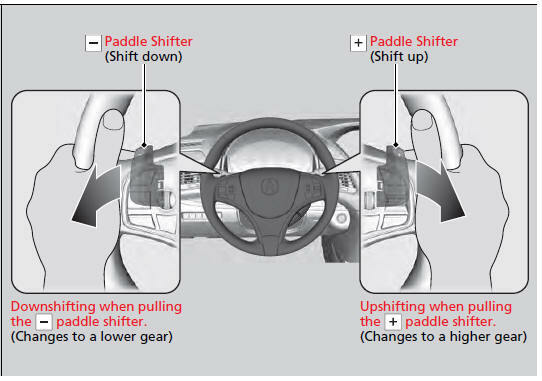 To change gears continuously, release the paddle shifter before pulling it again for the next gear. If the gear position indicator blinks when you try to shift up or down, this means your vehicle speed is not in its allowable gear range. Slightly accelerate to shift up and decelerate to shift down while the indicator is blinking. In sport mode, to prioritize the engine performance enhancement, the transmission may not allow for shifting up while the engine speed is low.